Born on August 19, 1952 in Port-au-Prince, Haiti. 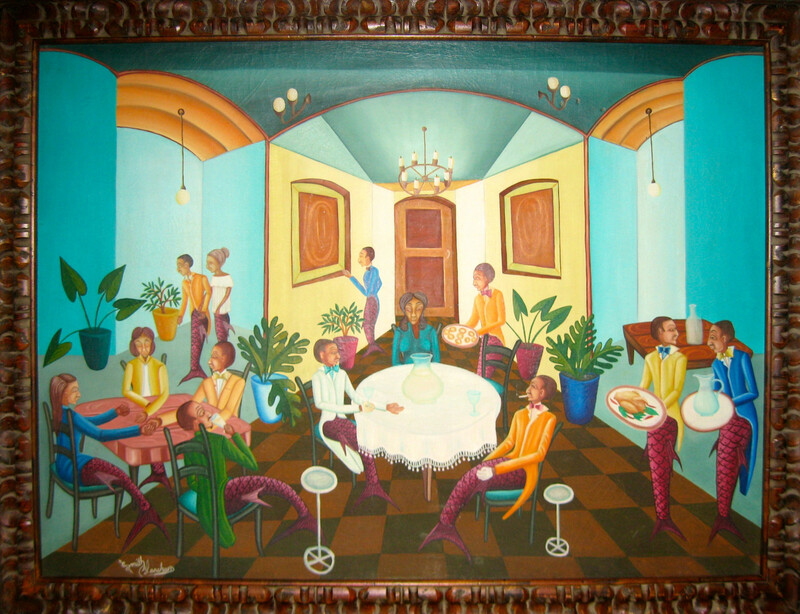 Smith Blanchard was the son of the late Haitian artist Sisson Blanchard who worked as a yard-boy at the Centre d’Art in Port-au-Prince. His father encouraged him to paint and helped him develop his own unique style (very different from his father’s). Like his father, Smith Blanchard’s paintings are rare and very hard to come by exhibited in France and US.